WASHINGTON — True Food Kitchen, a restaurant chain with a menu focused on an anti-inflammatory diet that Oprah Winfrey invested in earlier this year, will open its third D.C.-area location next spring at the new Ballston Common Mall. The 7,100-square-foot Ballston Common location will have a covered outdoor patio and two private dining rooms in addition to its main dining area. The size of Oprah Winfrey’s investment in True Food Kitchen in July was not disclosed, though it was described at the time as a significant equity investment. True Food Kitchen, with close to 30 locations, has other local spots in Bethesda and Fairfax’s Mosaic District. Its menus are inspired by the principles of celebrity physician Dr. Andrew Weil and based on an anti-inflammatory food pyramid that is heavy on nutrient-dense produce and grains. It joins a long list of restaurants at developer Forest City‘s top-to-bottom remake of the former Ballston Mall, which includes a 25,000-square-foot food hall with 18 vendors called Quarter Market. 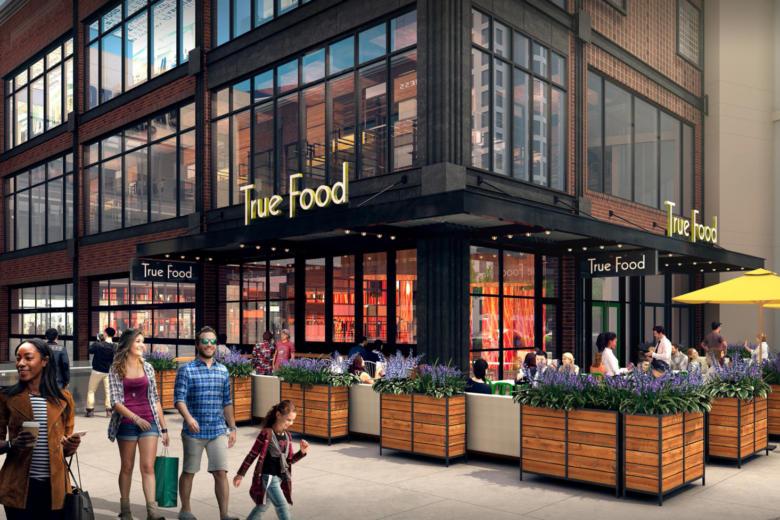 “We have designed Ballston Quarter to host some of the most unique, trendsetting restaurants and reimagined brands possible, and we see True Food Kitchen as an innovative and delicious dining destination for the neighborhood,” said Will Voegele, Forest City’s senior vice president of development.